Grid technology enables high-performance computing that until now has typically only been available to academia and large industry. Edutain@Grid developed middleware that gives other application developers access to this powerful technology without the need for Grid infrastructure management. Edutain@Grid addressed applications with very high interactivity and responsiveness. Success has been demonstrated through the development of pilot applications for massively multi-player interactive gaming and e-learning, which the project defines as examples of Real-time Online Interactive Applications (ROIAs). The gaming pilot application was based on an existing fast action game developed by project partner Darkworks. 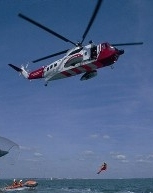 The e-learning pilot application was based on training applications developed by project partner BMT Cordah, in the field of maritime search and rescue. Edutain@Grid established innovative tools, services and methodologies for efficient development of ROIAs to exploit technology that has previously been applied to big science. The Edutain@Grid project was a 36 month project funded by the EC FP6 IST. Edutain@Grid received research funding from the EC’s Sixth Framework Programme.